New Hazy rhythm WONDER band Song Released! ESOPUS Magazine is in the process of releasing it’s 25th issue along with it’s accompanying CD, “JOKES”. The CD features a new Hazy rhythm WONDER band track titled, “Reflections of Reality”. 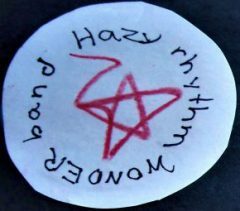 Next Next post: A Long Time In the Making… The Hazy rhythm WONDER band Releases New Album!! !